The four-day long 52nd Central Solung Festival celebration began at Gidii-Notko in Pasighat of Arunachal Pradesh on Monday evening amid much fanfare. 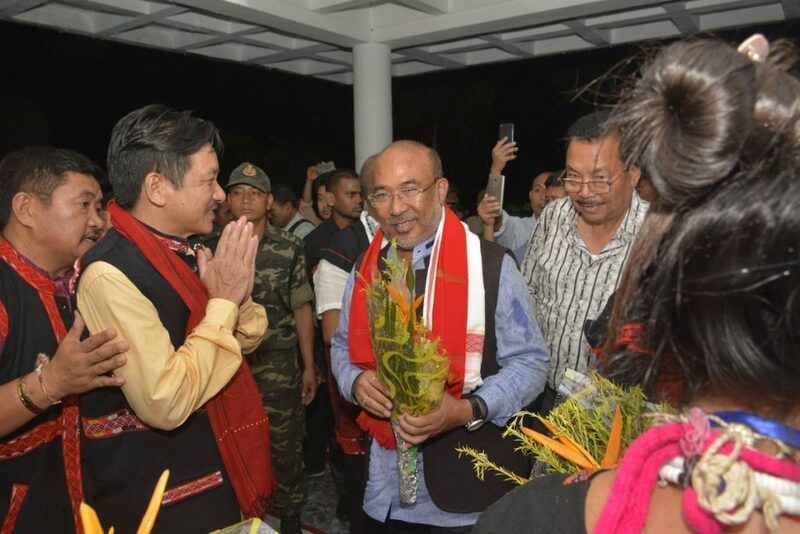 Manipur Chief Minister N Biren Singh graced the inaugural function as chief guest while Arunachal Pradesh Chief Minister Pema Khandu was present as guest of honour. Inclement weather had delayed the scheduled start of the festival as the dignitaries could not reach on time. The Manipur Chief Minister was accompanied by Deputy Speaker Robindra Singh and three legislators of the state. Arunachal Pradesh Deputy Chief Minister Chowna Mein, State BJP president Tapir Gao, Ministers Tamiyo Taga and Alo Libang, Advisor to Chief Minister Lombo Tayeng, Lok Sabha MP Ninong Ering, MLAs Tatung Jamoh, Olom Panyang and Kento Rina were also present, among others in the inaugural programme. Former ministers Bosiram Siram and Dr Tangor Tapak, ex-MLA Ralom Borang, East Siang Deputy Commissioner Tamiyo Tatak and Superintendent of Police Prashant Gautam, among others, also attended the inaugural programme. One of the popular agriculture festivals, Solung is celebrated by the Adi Tribes. The festival is celebrated in the first week of September, after the sowing of seeds, to seek prosperity and a good harvest. The main celebration of the festivals are in three main parts – Sopi -Yekpi (the first part and the sacrificial day), Binnayat (the second part, the ritual offering to goddess of crops, Kine Nane) and Ekop (also called Taktor; the ritual made for protection against harms by evil spirits).